Help us Clear the Shelters on Saturday, August 18th. On this day, adoption fees are waived or reduced at shelters across the U.S. and Puerto Rico. This is the day to create a forever home. Animal shelters across the U.S. and Puerto Rico are teaming up with NBC and Telemundo to Clear the Shelters on August 18th. 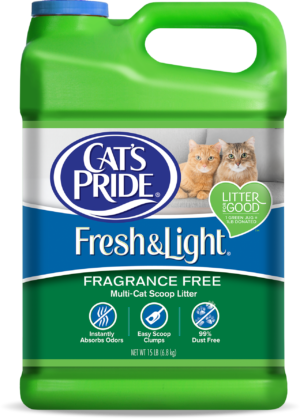 And as part of our continued commitment to helping animal welfare organizations, Cat’s Pride is proud to be a national sponsor! Clear the Shelters is a community-driven, nationwide pet adoption event that matches homeless pets with loving new homes. The program raises awareness about the importance of pet adoption and the overcrowding issues that local animal shelters typically experience in the summer months because of spring litters. Since its initial launch in 2015, NBCUniversal Owned Television Stations’ Clear the Shelters campaign has helped more than 150,000 pets find their forever homes. Join us on August 18th, and rescue a pet of your own for a reduced or waived adoption fee.